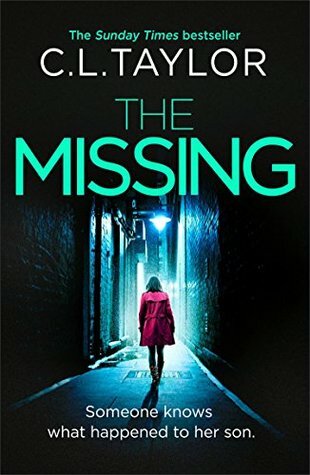 With The Missing, I continue my delve into C.L Taylor’s backlist. I’ve been gradually making my way through her books and certainly enjoying my journey into her writing. I’ve found her to be absolutely brilliant at creating some fascinating characters. Not always one you’ll like. Oh no. But completely fascinating all the same. In The Missing we find out that 15 year old Billy has gone missing. No one seen him leave and six months later they are still searching for him. It’s come to the point where they’re starting to question whether Billy is still alive. We learn about Billy through the family that he’s left behind. We mainly learn through Claire, but we also get a glimpse of Mark, the father and Jake his older brother. They are all struggling to come to terms with Billy’s disappearance. We also get to know Jake’s girlfriend Kira, who is living with the family after experiencing terrible things in her own family. Each character is hiding something and you really don’t know who to trust as a reader. Claire begins to have amnesic episodes that make you question her reliability as a narrator. As well as Claire’s narration, we also see messages between two characters on an instant messenger/text message format. These were quite intense and some were quite disturbing with some strong language (so be prepared if you’re offended by that!) I guessed one of the characters but I was completely wrong about another. I had assumed something (don’t want to spoil!) that was completely off the mark. Ha! I have yet to read anything by this author, but I really want to! I hope to get to some of her books soon (including this one!). Great review! Thanks Stephanie! I do recommend her books. I think they’re very engaging! Fab review! I always love it when a thriller is able to mislead me… Sadly it doesn’t happen all that often anymore. I need to try out this author! Yes, some of them are just very predictable now, which is such a shame! ooooh, a new author to check out! This sounds like it’s a good one, and I like that it’s so focused on family and their secrets. 🙂 It’s awesome. I hope you like her writing.